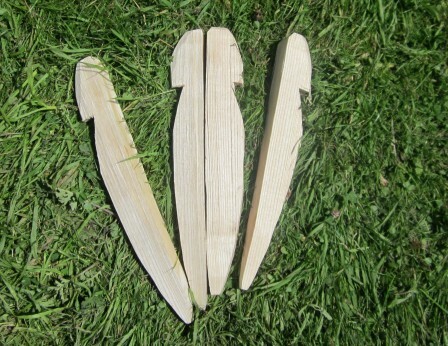 Tent pegs are normally made from ash or beech and can be hand made quickly using a Stock knife. A range of different sizes are available for a range of tents, marques and shelters. Wooden tent pegs are favored by many event and show organisations for environmental and safety reasons and both marque companies and the military and scouting organisations have large orders each year.